Building air handling systems that meet today’s complex energy and performance demands may seem like hard work. 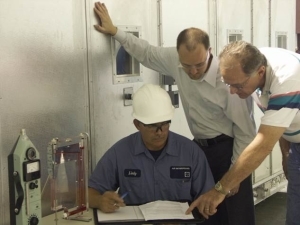 But Air Enterprises makes air handling unit design look easy, from the preliminary planning and goal-setting process, through design options and drawings to meeting our clients’ detailed specifications and budgets. serviceability while ensuring fast turnaround time. We manage air and with that comes a remarkable ability to bend air and air systems to meet our client needs. We routinely design units that have angles, slopes, turns and stretch in whatever available dimensions exist to achieve the clients needs. We have built units that move, flex with buildings, units with 90 degree angles, corner units and multifloor units. If you can conceive of the problem we can produce the answer. Contact us to discuss your custom air handling unit design.